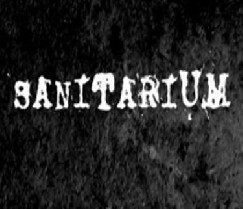 Review: Sanitarium is Another Lame Horror Ant..
Sanitarium, a New Horror Anthology, Arrives T..
A Red Band Trailer for the New Horror Antholo..
We spotted this sales art for Sanitarium at the American Film Market this week. This is the horror anthology that includes the cast Malcolm McDowell, David Mazouz, Chris Mulkey, John Glover, Lou Diamond Phillips, Robert Englund and Lacey Chabert. 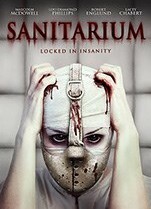 Three half-hour stories make up Sanitarium and each segment is based on particular patients of a mental institution. The episodesbegins with Dr. Stenson, the primary physician at the Sanitarium, commenting on the recent arrival of a new patient. He will carry the viewer through the narrative of the insane patients – tales which led to their crazed states of minds. These accounts reflect hallucinations, imaginary voices and alternate realities, and will include themes of the paranormal, the unexplainable and the mystical. 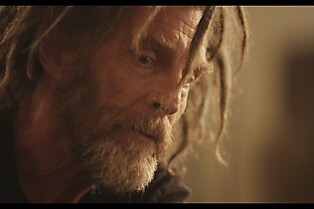 ShockTillYouDrop.com has received word of a new anthology film now in post-production which features the cast of Malcolm McDowell, David Mazouz, Chris Mulkey, John Glover, Lou Diamond Phillips, Robert Englund and Lacey Chabert. 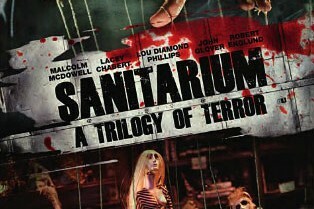 The film is called Sanitarium – directed by Bryan Ramirez, Kerry Valderrama and Bryan Ortiz – and it definitely has shades of the 1972 Amicus flick Asylum. Three half-hour stories make up Sanitarium and each segment is based on particular patients of a mental institution. The episodes begins with Dr. Stenson, the primary physician at the Sanitarium, commenting on the recent arrival of a new patient.